• Made from self extinguishing flame retardant materials that conform to fire standard UL94 V2 and DIN 4102 B1. 100 Flat Channel 100 x 54 x 1000mm is rated 4.6 out of 5 by 7. Rated 4 out of 5 by Redkenobi from Bargain price Search a few providers and found tool station the best, good quality and priced well. Rated 5 out of 5 by Maverick1 from in the new kitchen good fit, good seal. not very exciting stuff but does the job well. Rated 5 out of 5 by bobwill from easy to fit I bought this to save the wife and kids from vomiting every morning from the stench of the downstairs netty. Did exactly as I hope and exhausted the fumes to the outside. The only problem now is environmental health have been in touch. 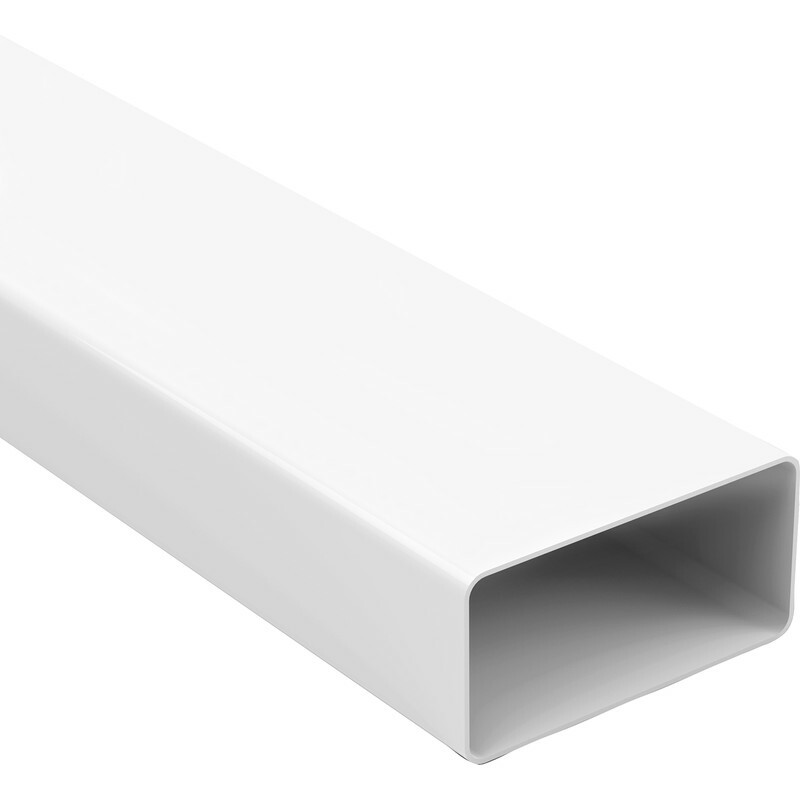 Rated 5 out of 5 by Coaster from Good pipe trunking. Following a u-tube tip , this duct pipe was used to box in a short run of waste and copper pipes in a bathroom, worked an absolute treat and so cheap compared with buying trunking.